Remember, remember always, that all of us…are descended from immigrants and revolutionists. 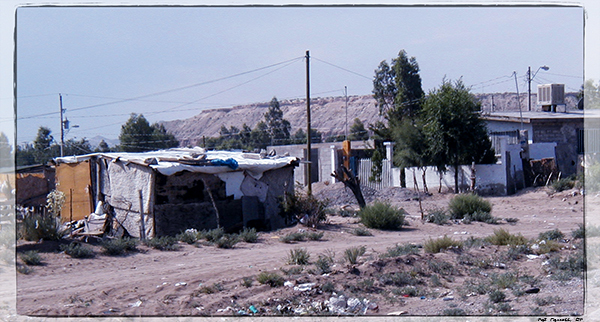 This neighborhood may seem foreign to us on this side of the border, but in Juarez, this poverty is not unusual. We can no longer accept a situation in which some public officials and members of our communities scapegoat immigrants at the same time our nation benefits from their labor. We can no longer accept a status quo in which migrants are compelled to risk their lives in order to support their families. We can no longer accept a reality in which migrants fill jobs critical to Americans and U.S. employers without receiving appropriate wages and benefits. We can no longer tolerate the death of human beings in the desert. Please join with us, the Dominican Sisters of San Rafael, and others in our Stance for Compassionate Immigration Reform. 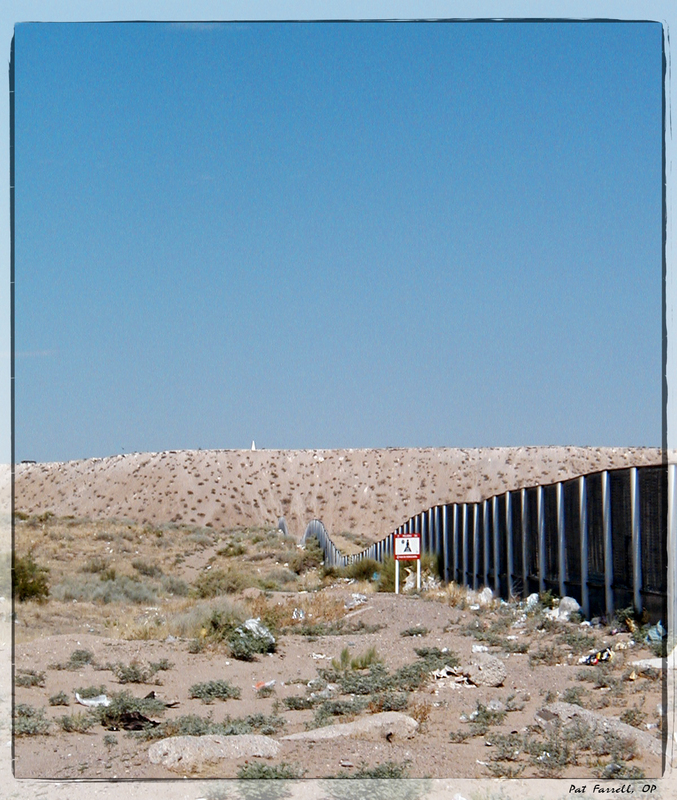 This fence between Juarez, Mexico, and El Paso, Texas, symbolizes foreign vs. not foreign. Really? How can that be so! I think heartfelt thoughtful discussion is a good idea, especially as opposed to the political mudslinging we are exposed to these days. Blessings! I agree – compassion and hope have better outcomes when you engage and participate.